Following allegations of rampant sexual harassment and corruption, the university is witnessing large scale student protests against the VC Sukh Pal Singh. 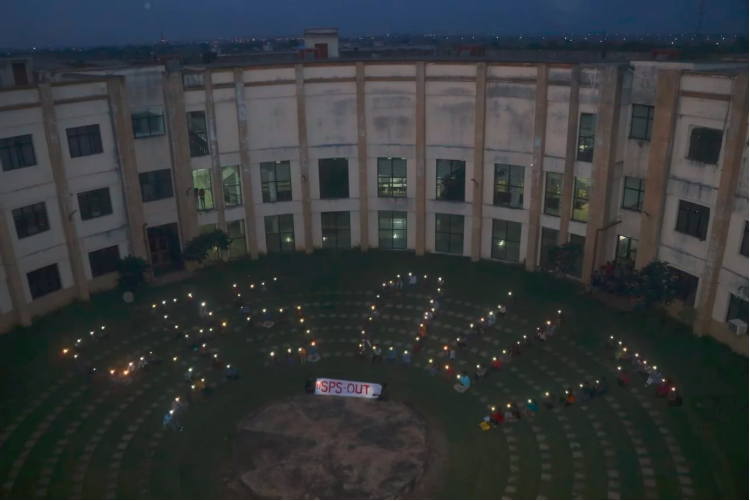 Continuing their protests for the past 200 hours, law students from the Hidayatullah National Law University (HNLU) in Raipur, Chattisgarh, have given an ultimatum to the Vice Chancellor (VC) Sukh Pal Singh to quit. A delegation of students visited the VC’s house last night to make their demands clear. The Student’s Bar Council, which has been leading the movement, released a video confirming that if their demands were not paid heed to, the protests are likely to intensify. 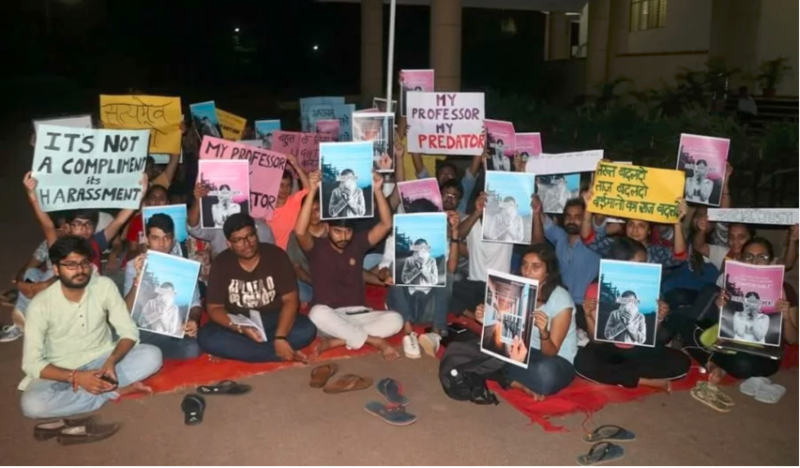 The VC has been at the centre of controversy as the professor accused of sexual harassment is still allowed to teach at the university despite the protests, while the administration is trying its best to suppress the issue. In a bid to quash the student agitation, the VC made an attempt to threaten the students with an open letter saying, “no disciplinary action would be taken against any student” if students call off their resumed silent protests against his reinstatement, after his disqualification by a high court had been stayed by the Supreme Court pending fuller hearings last week. The letter comes after over 800 students of the college signed a no confidence letter against the him, accusing his “style of arbitrary and discriminatory decision making”. The students had also held a general body meeting, where the VC could not confront the tough questions posed by the students. How were the Protests Triggered? VC – the face of Rampant Corruption? Sexual harassment under his watch is not the only reason why the VC has been put under the scanner. Speaking with NewsClick, some students pointed out that there was rampant corruption prevalent in the campus and some dealings that were threatening the academic integrity of the university. They added, when questioned about the diminishing quality of services, the administration would blatantly give the excuse of having not enough funds. However, an investigation conducted by students allegedly revealed the fact that the university held 13 bank accounts, with the money in the accounts adding up to about Rs. 98 crore. Previously on August 27, the protesting students were given some interim relief, when in the case Dr. Avinash Samal v. State of Chhattisgarh, the High Court quashed the extension of tenure of the VC. Then, the students had also raised their demand of his removal by camping in the opening for days. On the third day, Mr. Ravi Shankar Sharma, was appointed as the interim VC. However, the relief of the students was short lived. But now, their campaign has regained momentum and is garnering solidarity from across all quarters. If the VC does not agree to their demands, the situation is likely to intensify.